Every time I sit down to design a class, I ask myself what I can do to push myself and the students a little further, a little harder. 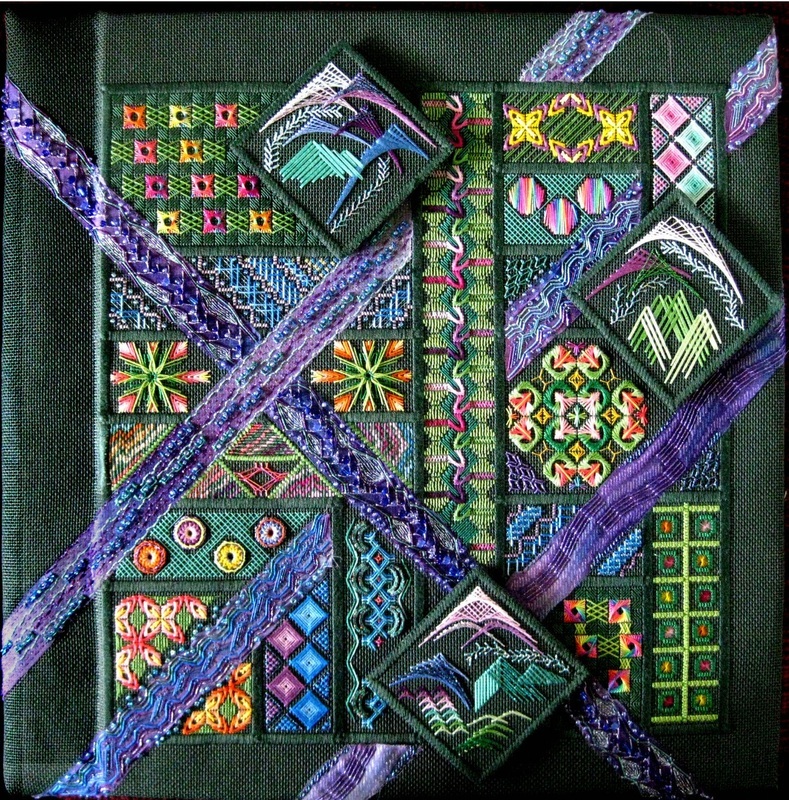 This class continues my experimentation with layering canvas and using unusual materials in combination with the grid. I don’t usually design specific to a location, but my home city of Portland led me in this direction — a project that incorporates rivers, mountains, architecture, and gardens. I hope students from all over the country will see bits of their own hometowns in this project. This class will give the students many opportunities for exploration and pushing their own personal stitching envelopes. Besides making some color choices, they will have an opportunity to work with some materials they might not have used before. Plus they will work with layered canvas, and stitching and embellishing between layers. Pre-stitching required — 20-25 hours to complete the satin stitch dividing bands. For anyone not able to finish the prestitching a basting chart is included.